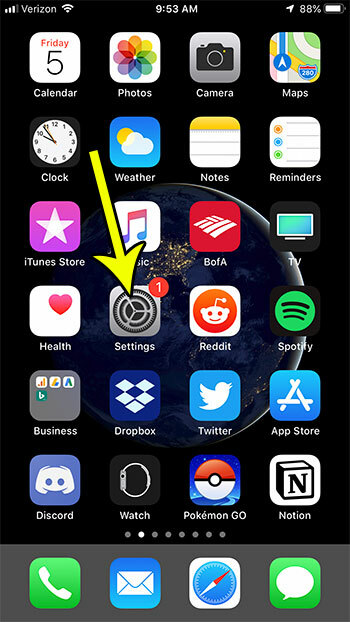 When you create a new voice memo on your iPhone in iOS 12, you may notice that it’s no longer being named as “New Recording” or giving you a prompt that lets you create names. This is occurring because the Voice Memos app on iOS 12 has a new feature where it names your voice memos based on your location. This can be useful depending on how you create your memos, but it may be problematic for other voice memo users. 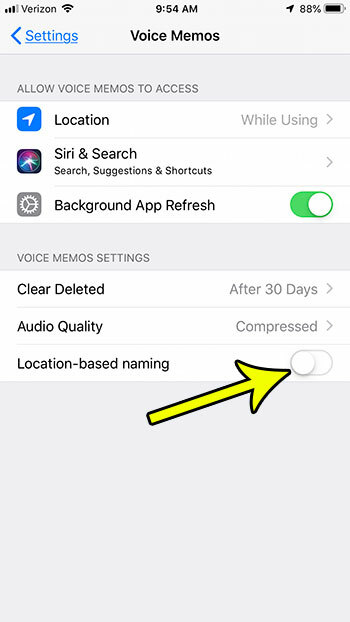 Our tutorial below will show you how to adjust this setting so that you can either use location-based naming for your voice memos or turn it off. The steps in this article were performed on an iPhone 7 Plus in iOS 12. Note that this feature was not available in earlier versions of iOS, so you won’t be able to configure this option unless you are using iOS 12. 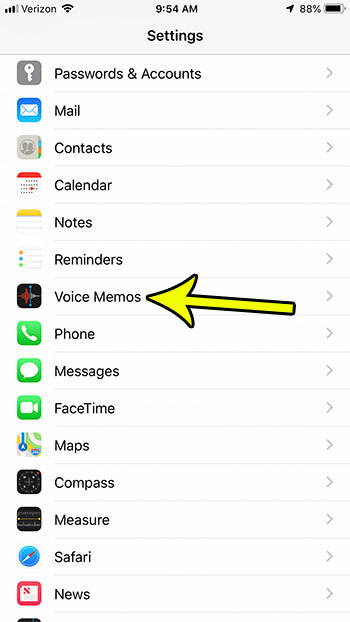 Step 2: Scroll down and choose the Voice Memos option. Step 3: Tap the button to the right of Location-based naming. I have turned off location-based naming in the picture below. Are you low on storage space on your iPhone, making it difficult for you to create all the Voice Memos that you want? Find out about a few different ways to clear up storage space on your device so that you can continue adding new apps and files.